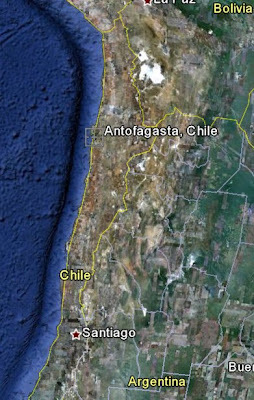 New triangle Ufo video report here in from Antofagasta Chile filmed on the 03/04/2011. People worldwide are having a ball releasing lanterns and filming them, what a shame, especially those of us falling for them !! 720pin HD. fullscreen and magnified full. One of three appears to be a disc! engineering,..that is worth considering! ?..just consider for now,that these sightings, may not have anything to do with ETs. Directly, that they might be the result of back engineering from retrieved UFO. I think I have to agree, lanterns in 1 & 2 & helicopters in 3, of course I wasn't there so I can't know for sure. What's puzzling about three helicopters flying in formation in 720p HD???? What has become of this site? 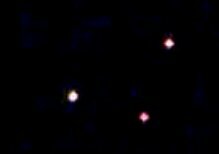 I think its possible that they may have been, but not identifiable as such.In fact all that could be seen from my view,was three small black dots. They could be anything you would like them to be!..what a laugh!? So really,they are unidentifiable, a UFO! ?